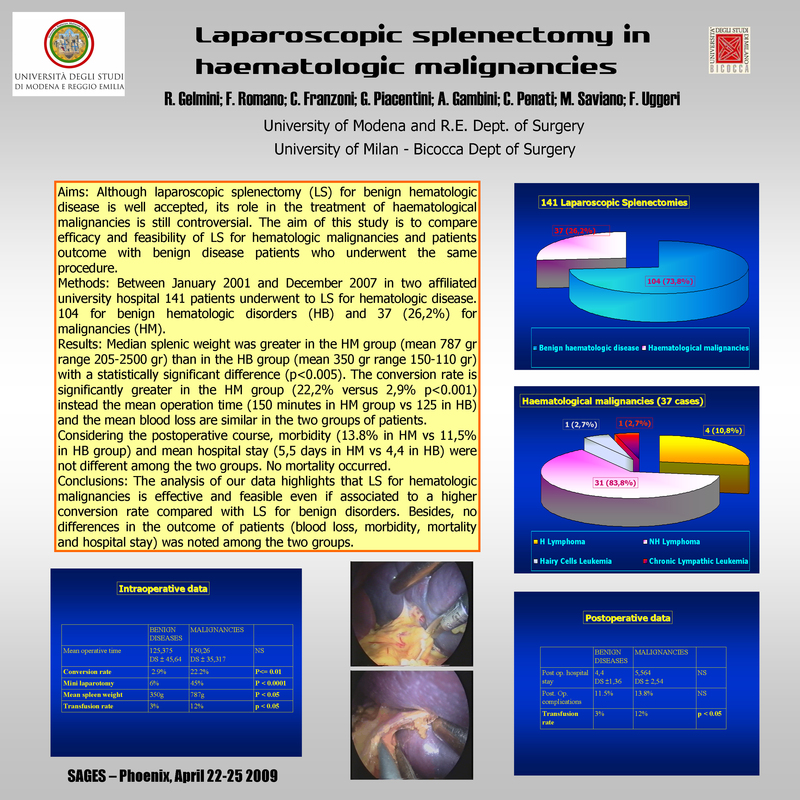 Aims: Although laparoscopic splenectomy (LS) for benign hematologic disease is well accepted, its role in the treatment of haematological malignancies is still controversial. The aim of this study is to compare efficacy and feasibility of LS for hematologic malignancies and patients outcome with benign disease patients wgo underwent thesame procedure. Methods: Between January 2001 and December 2007 in two affiliated university hospital 141 patients underwent to LS for hematologic disease. 104 for benign hematologic disorders (HB) and 37 (26,2%) for malignancies (HM).